Of course I had to pull this blazer from the back of my closet and slip it on yesterday. 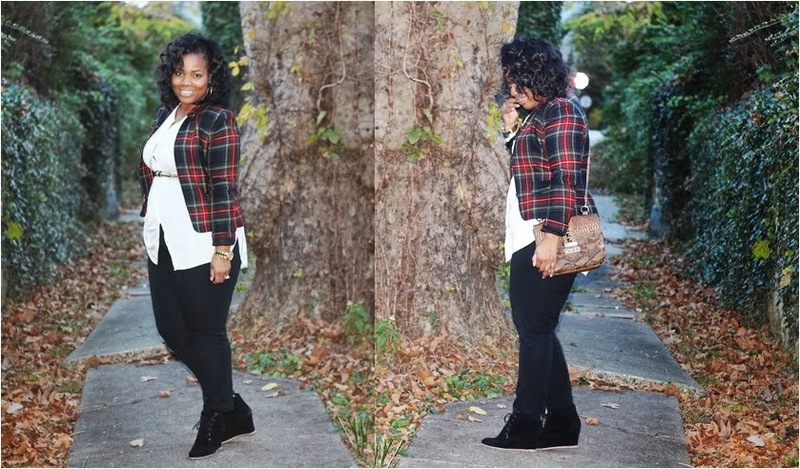 Plaid just makes sense this fall season. I could walk miles in these wedge booties and my feet would not feel a thing. They are so comfortable. Waiting for the wine colored ones to become available in my size, I neeeeed'em!